My sister occasionally posts on Facebook that she is making “bumpy cakes” for breakfast. I had no idea what bumpy cakes were, but the image that always popped in my head was a chocolate cake, like this. I could not fathom why in the world she would be making that for breakfast! Was it a pregnancy crave? Melt butter in the bottom of a 9- x 13-inch pan in the oven. Mix the rest of the ingredients in a blender, food processor or mixer. Pour into the hot buttered pan and bake for 15 to 20 minutes, until high bumps appear and the top is lightly browned. To serve, cut into individual rectangle servings. Serve immediately with optional toppings. Recipe Note: This recipe can be cut in half and baked in a smaller pan. 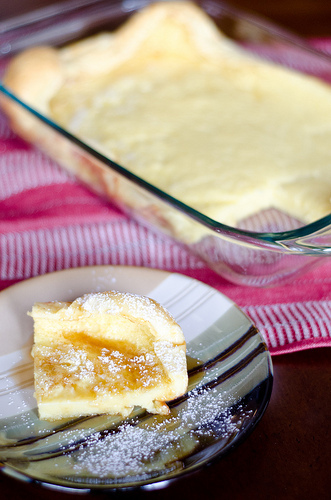 These are called Dutch Babies or German pancakes when cooked in a pie pan. I had my first one in a restaurant for my honeymoon. We serve them up every year for Christmas breakfast with all the fancy berry syrups in my stocking, fresh whipped cream, OJ and homemade sausages. You’re right, they can’t be beat! Yum! We call these Dutch Babies using slightly different proportions (4 eggs, 1 cup milk, 1 cup flour poured into a hot buttered pan) and no sugar. Our favorite toppings are lemon juice with powdered sugar, and our toddler loves applesauce on top instead. I’ll have to try this version! I’ve never heard of this! But it looks delightful and I like the idea of being able to just put it in the oven rather than having to serve things up individually. That’s always been my major gripe about pancakes. I can’t wait to make this! Is this kinda like a Hootenanny? I’ve never had either, but it looks great!! I’m a total pancake / crepes lover! I’d eat it for every meal if i could. I’m trying this on Saturday and have this suspicion that it’s going to be a total favourite! Thanks for a great recipe and perfect timing! So when I saw this, I got up and made it this morning for breakfast! It was well received by my picky husband and my non-picky kids. We finished the 9×13 pan except for one piece! We skipped the sugar and added honey (as I am on a sugar fast) and on top srizzled maple syrup. 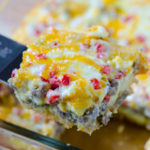 I think we will have this again – super easy & very little prep time!! Ooooh, these look like the recipe for german pancakes, just a little different delivery. Good dinner idea. I think I am gonna have to use it! Yum! I made this on Christmas and it was awesome! I put warmed cinnamon applesauce on mine. I think we call that a German pancake… I’ve never made one, but they look a lot like what my mom made for us growing up. Anyway, lovely recipe! 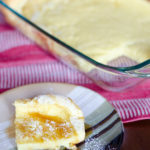 This sounds and looks a lot like a Dutch Baby or a German Pancake – delicious! 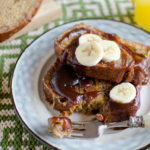 I’m going to make this for breakfast tomorrow. Does it taste super eggy? I love these!!! We grew up eating them and calling them Mountain Eggs. We always loved to watch the mountians “grow”, and of course battle over the biggest one! Thank for reminding me of them. I am making them for my daughter for breakfast tomorrow! This sounds delicious! I love recipes that allow me to eat with my family. Thanks for sharing this. You can also make this in a cast iron skillet and cut it like a pie. LOVE this on weekend mornings. We call them Dutch or German pancakes also. The Frugal Girl (blogger) has a recipe that is slightly different than the one I use (mine is from Joy of Cooking). Hers has sliced apples and cinnamon/sugar baked into the eggs. That is really tasty too. We top ours with strawberry preserves. Apparently I”m the only one who doesn’t know what a German pancake is! 🙂 Pretty sure I have a recipe bookmarked, though, for one somewhere. ha! 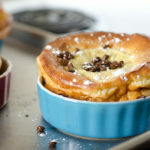 The recipe looks very similar for popovers as well as the picture looks like it’s one big popover. This is also called Kropsu or Pannukakku, in Finnish. My family is from the UP (hence the Finnish names). I grew up with this on the occasional Sunday, but we never bothered to try anything other than our family’s maple syrup. Kropsu and syrup is *the* perfect combination. I made this for dinner last night with sliced banana, brown sugar, and pecans. I plan on making this again next week with a savory spin. Maybe top with bacon, fried potatoes, and cheese. That sounds like a fabulous idea! I’ll have to try your banana/pecan version, too! We made this one this morning and it was really good! Thanks for the recipe! This looks so good! I’ve never made anything like this before and can’t wait to try it! 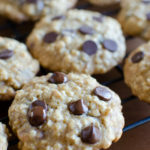 Thanks so much for the great recipe, I made these for 6 this morning and it was just enough (along with bacon of course) and was so much easier than standing over a griddle making pancakes. I served with homemade whipped cream and strawberries and there were rave reviews! I made these this morning. Sadly I was the only one in our family that thought they were awesome!! I posted a link of the recipe on my blog. Thank you for the recipe!!! My grandmother in MN made this and she called it Lake Minnetonka, because that’s what it looks like, all bumpy. She used to put the mix in the pan and then add some melted butter on top before baking. I can’t wait to try your recipe. My 18 month old son is a big fan of anything egg, but I have never seen him eat something that fast. He picked every last crumb off his plate, then asked for more! Way faster than pancakes or scones, which keeps mom happy too. I can actually eat a hot breakfast WITH them, haha. Thank you! After I initially left a comment I seem to have clicked the -Notify me when new comments are added- checkbox and from now on every time a comment is added I get four emails with the exact same comment. There has to be a way you are able to remove me from that service? Thanks a lot! What am I doing wrong?! I have had three disasters with this recipe now. The first attempt came out super thick and chewy, like the consistency of underbaked pizza dough. Yuck. My best guess was that I didn’t let the pan get hot enough and the eggs cooked slowly and densely. Okay, second attempt, I poured the batter into the appropriately preheated buttered pan and the cold batter broke my pyrex dish! Eggs all over my oven. Not happy. Third attempt, I halfed the recipe, used a 13 x 9 and an aluminum pan appropriately buttered and heated thinking it was my best chance for bumps and airyness. Nope. Now it was thin and still the consistency of undercooked pizza dough with bumps and crispiness only around the edges. I know this should be better! What is my problem?! Oh, Aubri! I’m so sorry you’ve have three failed attempts with this! I really can’t tell you what went wrong as I’m not there with you and it could really be a wide range of things from oven temperature, expired ingredients, altitude, weather, etc. Or, maybe you actually were successful but just didn’t like it? It should be thin and kind of dense…and egg-y. I had the same problem although no breaking pyrex. Always super tick and doughy. Never thin and bumpy.